Jeff’s practice focuses on business issues for companies in the food and beverage industry. Jeff has been working with breweries, wineries, distilleries, cideries, meaderies, and other alcohol makers since 2007. He is a recognized expert in alcohol regulation, speaking regularly and testifying in state government proceedings on issues related to alcohol manufacturing. Jeff leads the OGS team on issues for all three tiers, with experience not only in manufacturing, but distribution and retail as well. He works with clients on obtaining permits, company formation, equity and debt, intellectual property (trademarks, copyright, and the protection of recipes), and labeling. 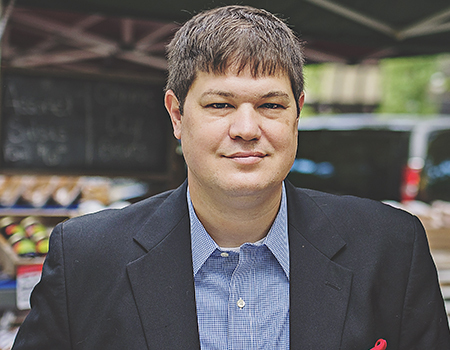 In addition to food and beverage, Jeff has been working with intellectual property-based startups for his entire legal career. Even before he was a lawyer, Jeff worked in numerous Fortune 500 companies as a software developer and project manager; he has an undergraduate degree in Business and an MBA. As an attorney, his broad-based industry experience, along with degrees in Operations Management, Information Systems, Marketing, and Finance help him to provide experienced guidance in virtually any business transaction.